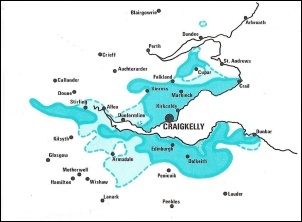 THE CRAIGKELLY TRANSMITTER is the UHF main station and carrier of regional FM/DAB radio services for Edinburgh and surrounding parts of Lothian, Stirling and the majority of Fife. 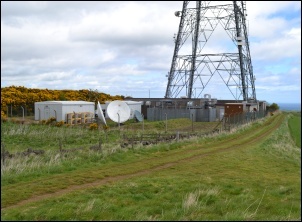 The station is located within Fife on a historic hill known as 'The Binn' that overlooks the coastal town of Burntisland, near Kirkcaldy. 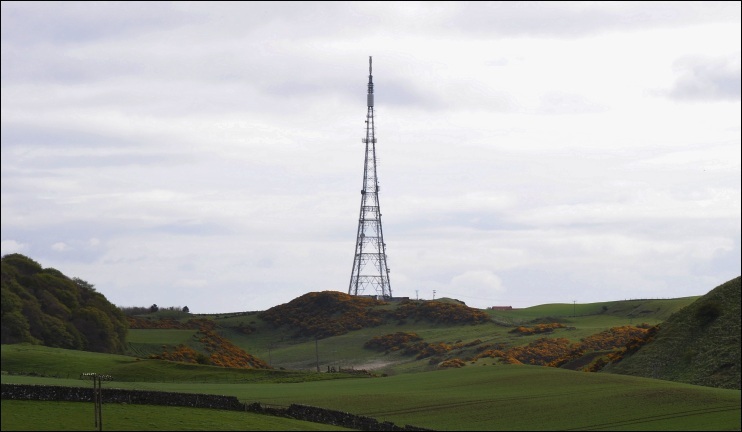 Craigkelly was constructed by the Independent Television Authority (ITA) to extend UHF coverage from 1971 to Edinburgh and Fife, an area served on 405-line VHF by Black Hill (ITV) and Kirk o'Shotts (BBC1) but which was beyond the acceptable range of the equivalent UHF transmissions from Black Hill. 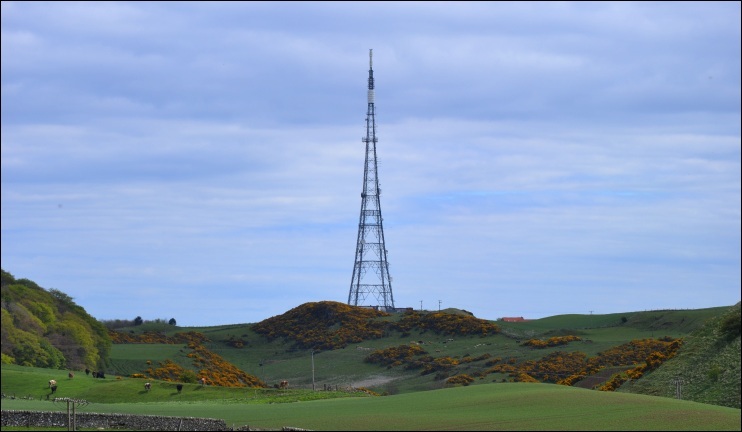 Transmissions from Craigkelly are carried on a 125.2 metre (411-ft) self-supporting lattice tower. 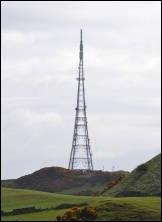 It is one of only four major transmission sites in the United Kingdom to utilise a self-supporting lattice tower with a height in excess of 60 metres (197-ft). The tallest of these are the towers located on the London sites at Croydon and Crystal Palace whilst the remaining structure is located at Fremont Point on Jersey. 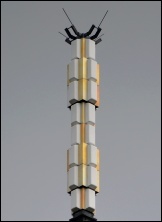 The Craigkelly tower is of similar height and design to Fremont Point with both structures being used previously at other sites, the Craigkelly tower having been the original transmitting structure at Emley Moor between November 1956 and June 1966, whilst the Fremont Point tower was used at Lichfield from 1956 until 1961.